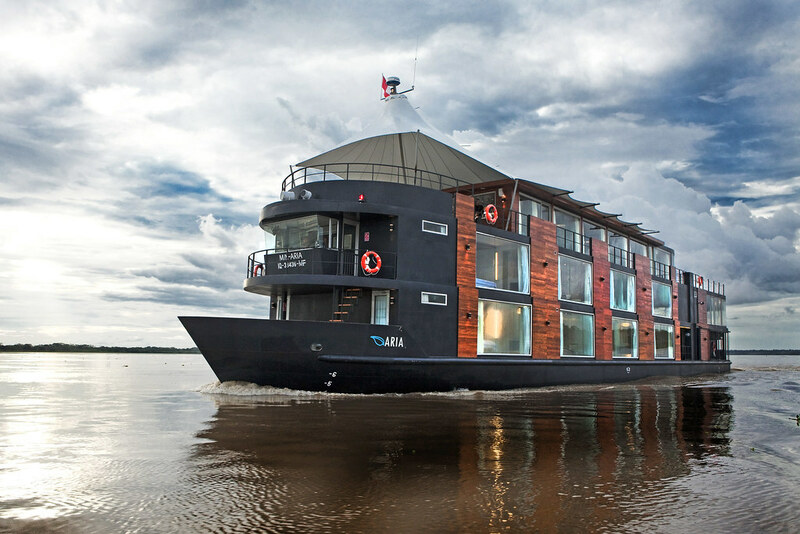 Aqua Expeditions has added two new departures on the Aria Amazon in Peru for the upcoming winter season due to popular demand. Aqua Expeditions will now be offering departure dates on November 27 and December 1, 2017. Guests can experience the “high-water” season on Aqua Expeditions’ luxurious 147-foot-long cruise ship with only 16 spacious staterooms on board. As always, guests will have the opportunity to enjoy active wildlife excursions with jungle hikes across suspended bridges, as well as fishing, kayaking, canoeing and biking. In addition, guests can also experience drinks at sunset, live on-board entertainment, movie nights, stargazing by telescope, spa treatments, and 5-star cuisine by Chef Pedro Miguel Schiaffino.